Fee-based accounts now make up more than 70% of Private Client Group revenue. Raymond James Financial (RJF) reported record net profits of $122.7 million and record net revenues of $1.2 billion in the quarter ended June 30 — with earnings per diluted share increasing 44% from a year ago to $0.85 per share. Part of that increase in earnings per share can be attributed to $13 million of acquisition-related expenses in the year-ago quarter, but excluding those expenses, the earnings per share still increased 31% from a year ago to $0.65. Analysts polled by Thomson Reuters had expected earnings of $0.72 per share on revenue of $1.18 billion. 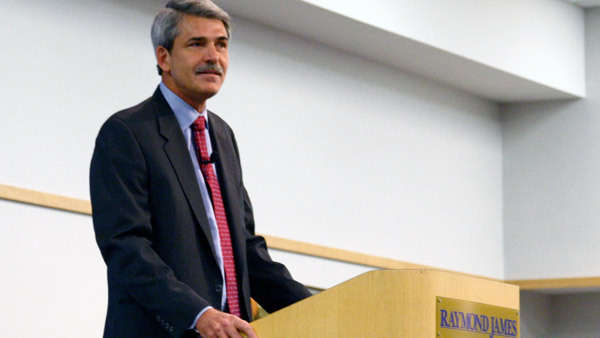 Raymond James’ quarterly revenues rose 9% from a year ago and 3% from last quarter. Following a big jump in private client profits in the last quarter, Raymond James’ Private Client Group had a record quarterly pretax income of $81.5 million, a 39% increase on a year-over-year basis and a 6% increase from the preceding quarter. Quarterly net revenues were up 10% from a year ago with the private client group reporting $816.9 million in quarter ending June 30. Total assets under administration for PCG reached a record $454 billion, up 17% from a year ago and 5% from the preceding quarter. Assets in fee-based accounts jumped 27.5% to $168 billion, helping the segment’s recurring revenues grow to over 70% of the segment’s total revenues. Raymond James attributes these record results in the Private Client Group segment to record levels of client assets and a continued focus on enhancing margins. The total number of advisors in the PCG stood at 6,251 as of June 30, up 49 from the most-recent quarter. The firm’s U.S.-based independent channel has about 3,320 advisors, while its employee channel has 2,455. –Read Raymond James Reports Big Jump in Private-Client Profits: Q1 Earnings on ThinkAdvisor.